Kay's Adaptable Adventures: Giveaway Ending TONIGHT! 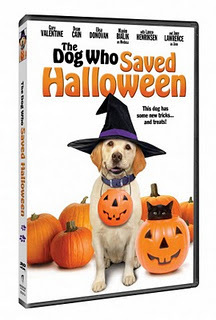 Don't forget people-The Dog Who Saved Halloween DVD giveaway here on The Eclectic Element is ending TONIGHT at 11:59 CST! You don't want to miss out on adding this great family-friendly movie to your collection do you?! A Fun Way to Exercise! I'm Guilty of Weird Sleep Texting! Send a Little Comfort & Help Raise Awareness! It Can't be That Time Already...Can It? !